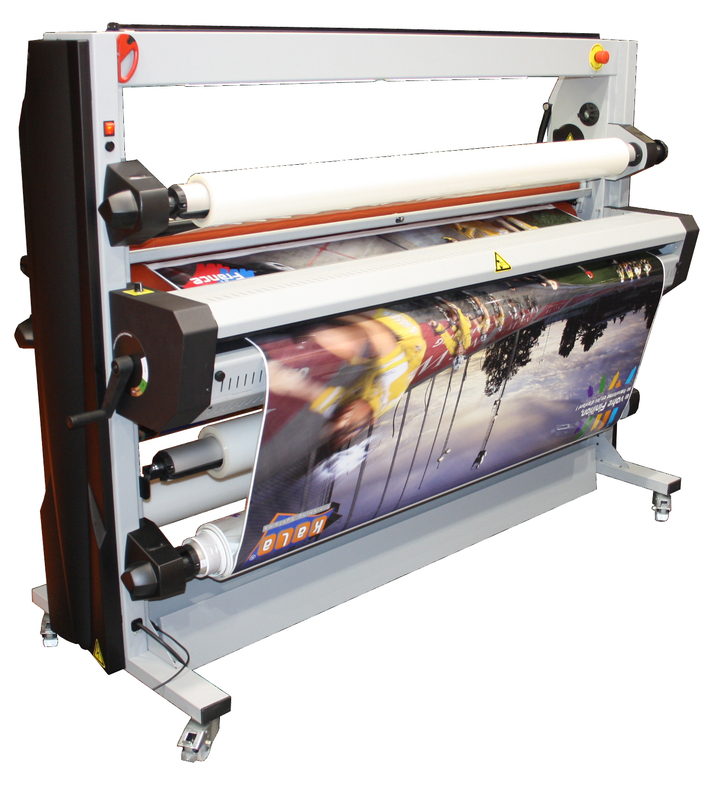 The Kala Atlantic 1650 is a top heated roller laminator for pressure sensitive and thermal lamination. 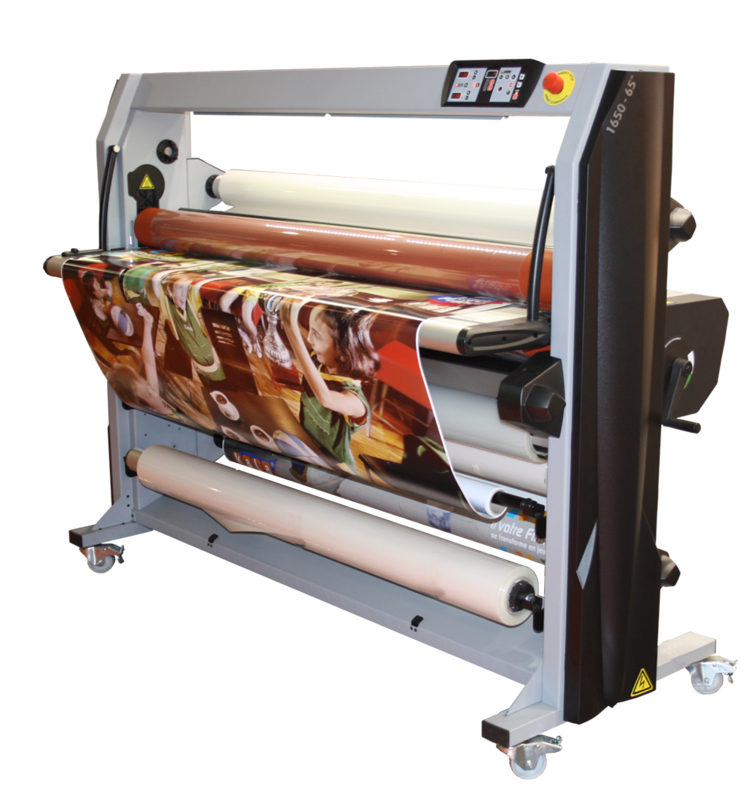 Includes high quality, high speed hot laminator with dual heated rollers for specific applications including thermal lamination. Speed capability up to 21' per minute, mounting up to 2" thick, top roller heat range up to 285⁰ F, working width of 65". Comes with 5 shafts, 1 feeder plate, 1 infeed print guide, 1 print media shaft, LED light kit, rear pull rollers and forced air cooling system. Posted in the categories Filter by Print Media, Filter by Equipment / Displays / Accessories, Filter by Brand.